On 30th April & 1st May 2018, join 1000 leaders defining the future of the aerospace, aviation, defence and space industry. 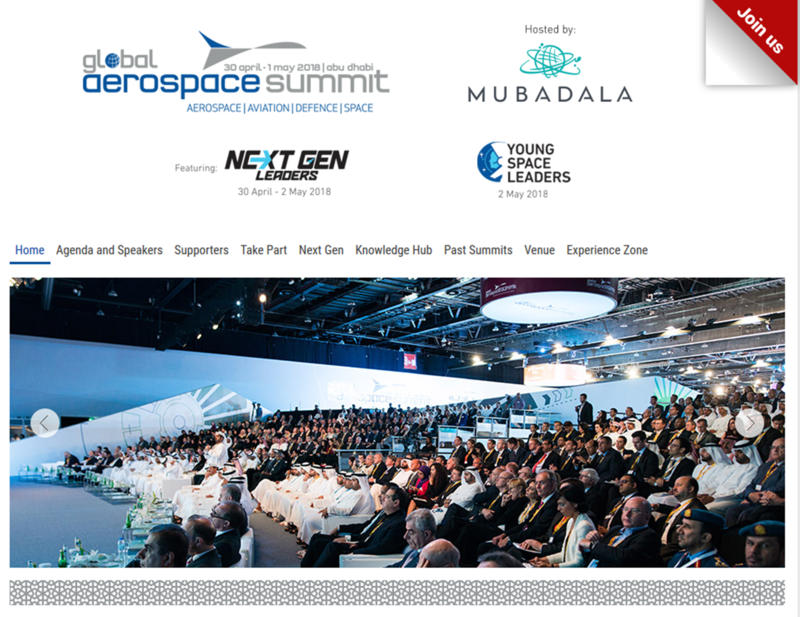 The Global Aerospace Summit is where corporate, government and military strategies are marked out. What do future aircraft need to look like? How will new processes and technologies revolutionize manufacturing? What threats does a distributed, digital world hold for incumbents’ business, and where are the game changing tech platforms and disruptive business models coming from? The 2018 Summit will focus on what the aerospace industry means for people – how aerospace helps advance mankind and how we can build the human capital we need to develop our industry. In a time of international unpredictability, the Summit will look at what OEMs, airlines and policy makers need to do to enable our people to thrive in a data driven, digital world. Throughout the Summit the Next Gen Leaders initiative will promote STEM education and inspire young people to pursue careers in aerospace. 2nd May 2018 is a full day dedicated to the development of young professionals and students. Its highlight is the Young Space Leaders Forum which will showcase the next generation of leaders and engineers. Featuring inspirational role models from the international space scene it will celebrate the passion and dedication to science and learning of the future leaders of the Emirati space programme. Next Gen Leaders will highlight top academic institutions’ projects and industry STEM programmes, offer career advice and workshops. Global Aerospace Summit is an effective commercial programme enabling access to the most high potential, lucrative markets and customers for aerospace, defence, space and aviation platforms and technology. Sponsors get exclusive access to the most senior decision makers and influencers in the industry. By becoming an event partner or sponsor you a signaling your commitment to the progressive development of the aerospace sector on both a global and regional basis. At the Summit you will be meeting with a prequalified group of the most influential global and regional players in your sector. Partner and sponsor packages are built on structured meeting programmes designed to put you in front of the clients and partners it is most important to spend personal face to face time with. At the same time we understand that brand positioning is an important tool for organisations. There are extensive branding opportunities, both on-site and as part of the extensive and ongoing marketing and content campaigns around the Summit, to support you in winning business and promoting your solutions and ambitions.